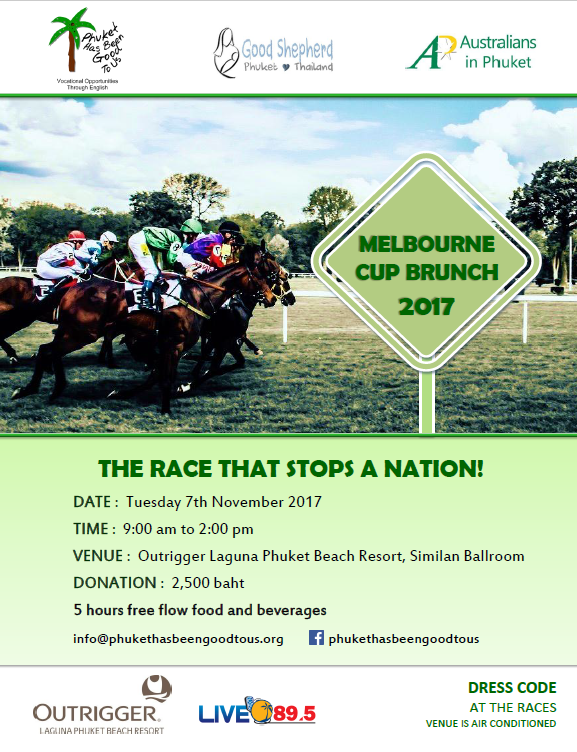 We are again, very proud to be selected as one of several recipients for funds raised at the upcoming Melbourne Cup 2017 Brunch. Mark your calendars for the first TUESDAY of November and join us at Outrigger Laguna Phuket Beach Resort. Tickets are available for purchase through [email protected] for 2500 baht per person. Your participation and donations truly help those less fortunate. More information about the event can be found on this Facebook page.